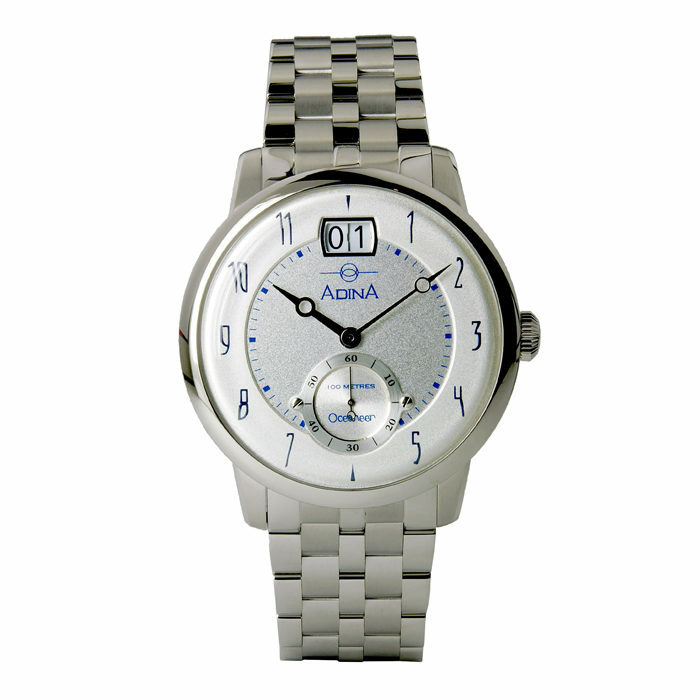 Your heart is sure to race as mine did the first time I laid eyes on the Adina Oceaneer sports watch RW10 S1FB. 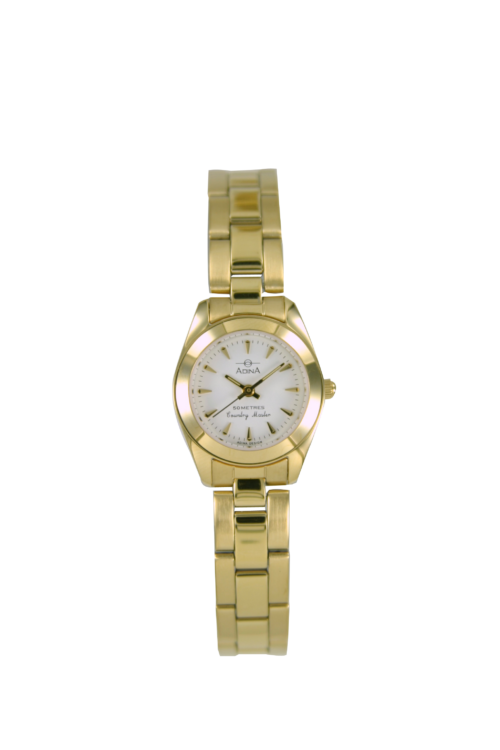 The bold lines accentuate the 44mm case which features a vintage box crystal creating a bridge to the past which is also subtlety supported by the the fine Arabic numerals, big date and sub second hand. 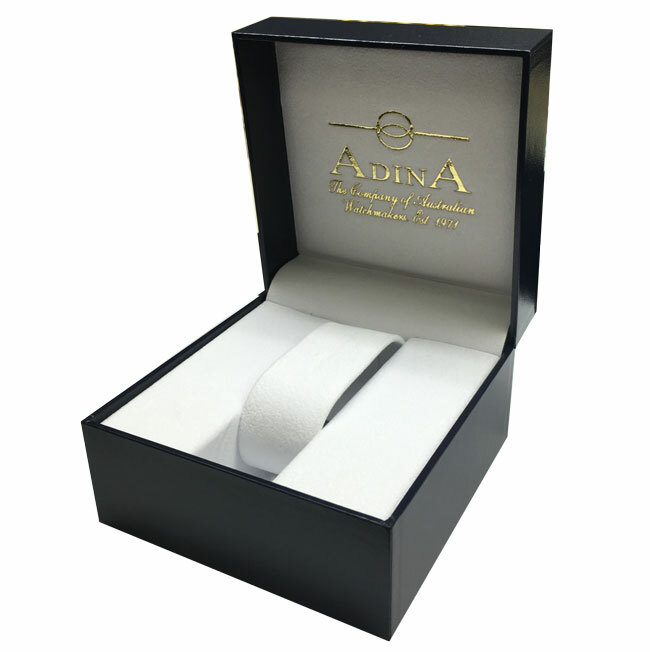 Of course the luxurious feeling of the solid bracelet rounds out what is sure to become an instant Adina Oceaneer classic. 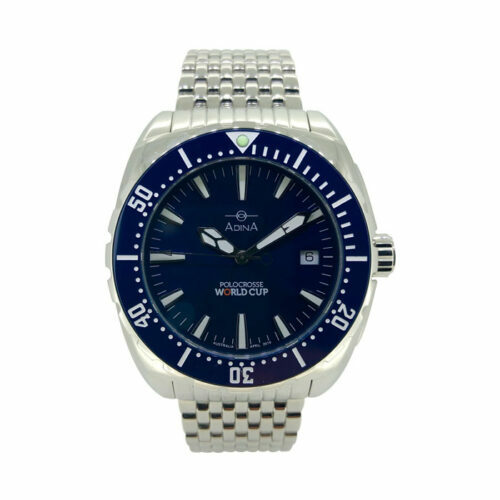 This Oceaneer as with every Adina has been assembled by hand in our Brisbane workshop. 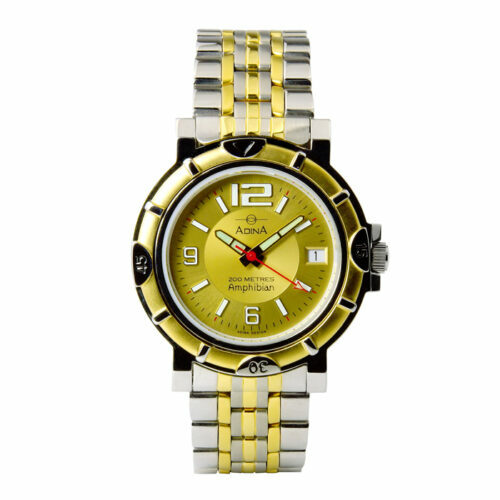 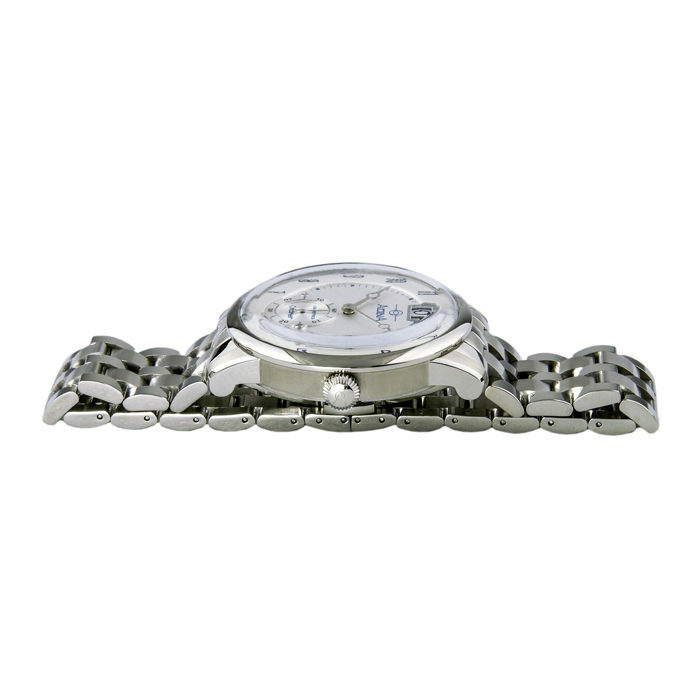 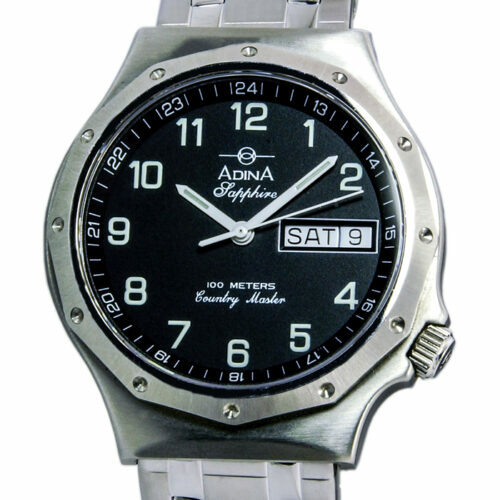 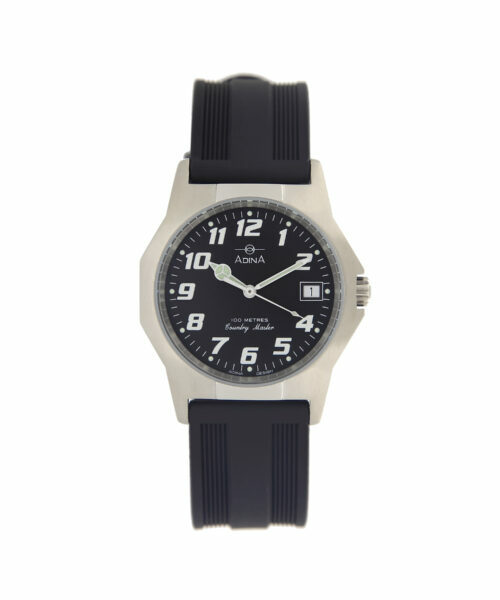 The Adina Oceaneer vintage sports watch RW10 S1FB is robustly constructed from cold stamped, nickel free stainless steel. 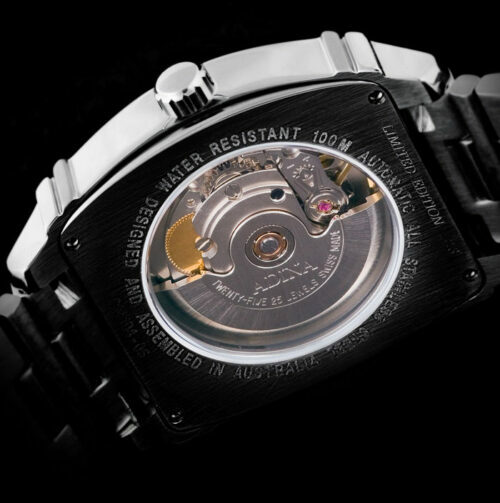 Sure to be a future classic, under the box crystal the vintage case houses a fully repairable Swiss movement. 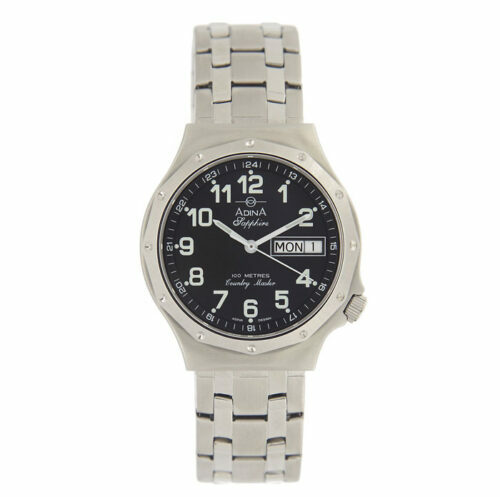 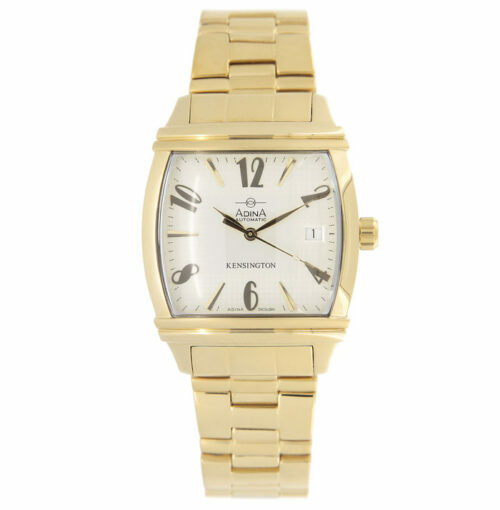 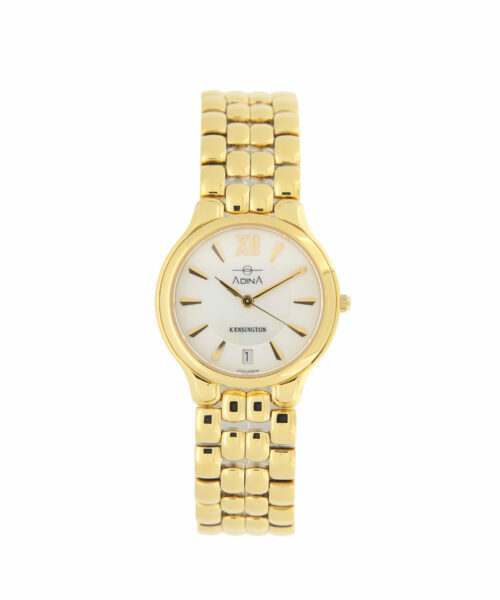 Enhancing that vintage feel further is the fine Arabic printing on the dial working in unison with the big date and sub second hand. 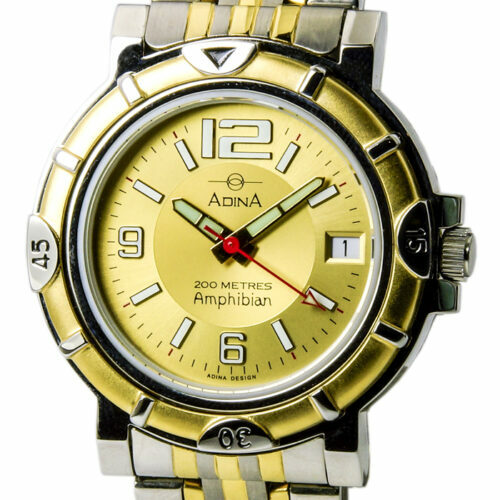 The Adina Oceaneer Collection all being 10ATM water resistant are designed for everyday use including swimming, showering and adventures of almost any kind! 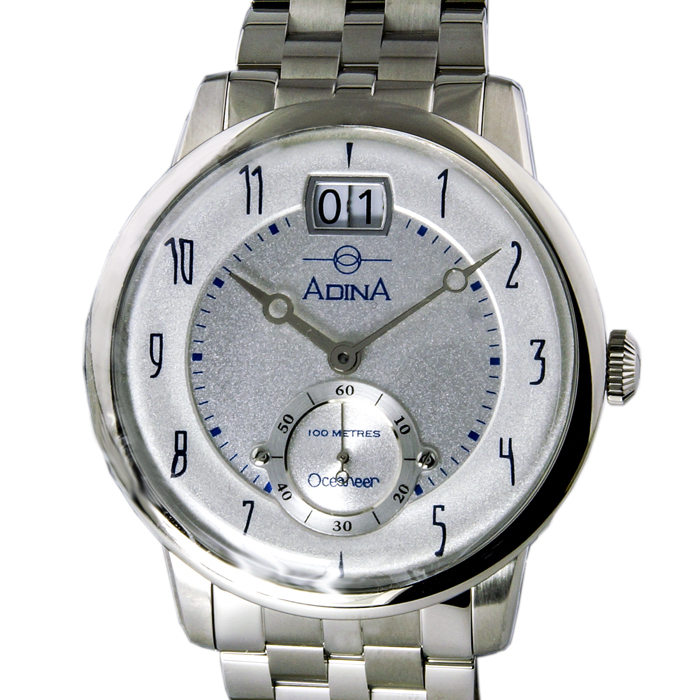 Don’t let looks fool you this performance bred Adina Oceaneer employs a bi-oring knurled crown system for superior water and dust protection. 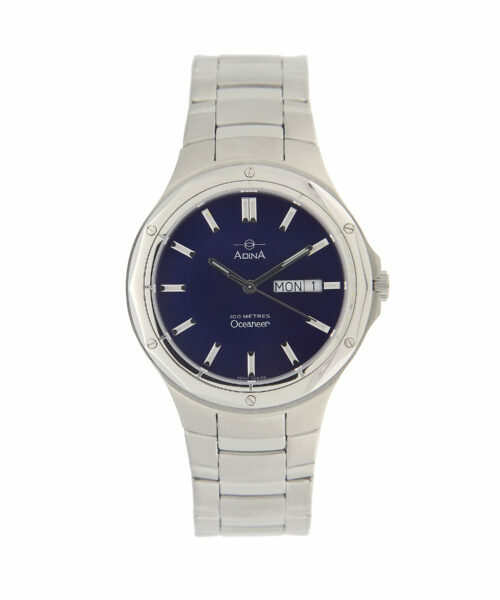 .The Adina Oceaneer vintage sports watch RW10 S1FB feels exquisite on the solid stamped stainless steel bracelet. 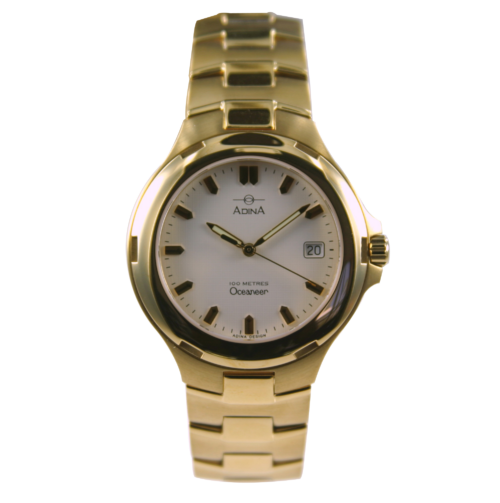 A qualified watchmaker has assembled this watch, as with every Adina watch with care and precision in Brisbane, Australia.